I think I said I was done sharing Easter cards . . .but I lied. I have ONE MORE. And I think that's really it this time. 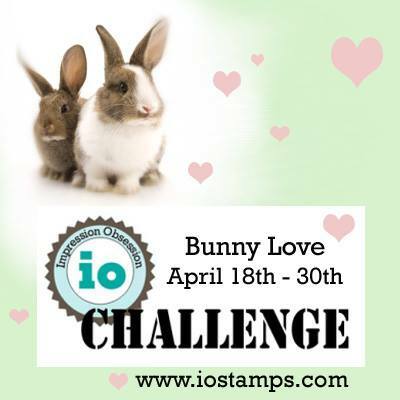 Today kicks off a new challenge on the Impression Obsession blog, and the theme is Bunny Love! 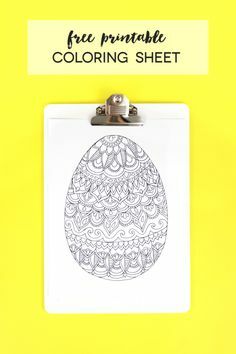 It doesn't have to be an Easter card . . . but I thought I'd be sneaky and get one more in! I raved about these darling bunny stamps a few weeks ago, and how much I love them embossed, so I just had to emboss them again. THEY.ARE.SO.CUTE. Thanks so much for stopping by - and of course, have a MOST beautiful and blessed Easter weekend! 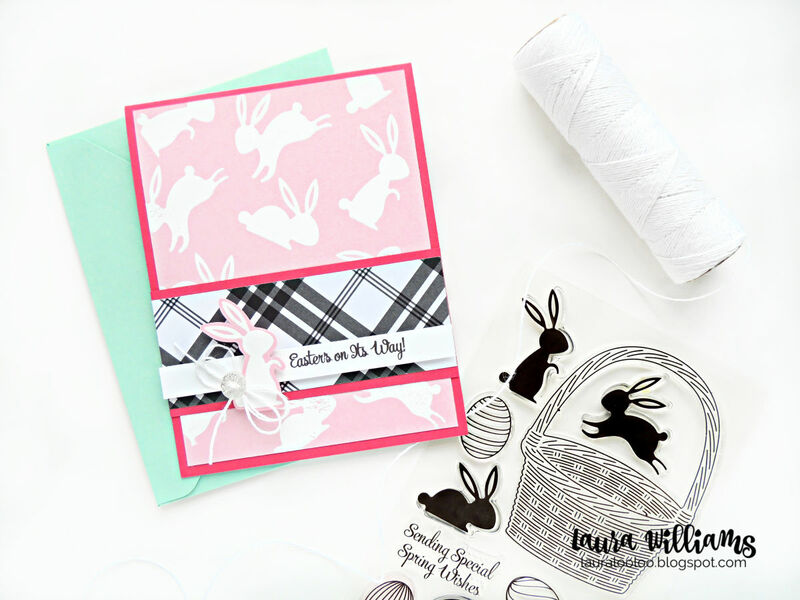 I couldn't let the season escape before I made one more project with the Bunnies & Bows die set from Lil' Inker Designs. 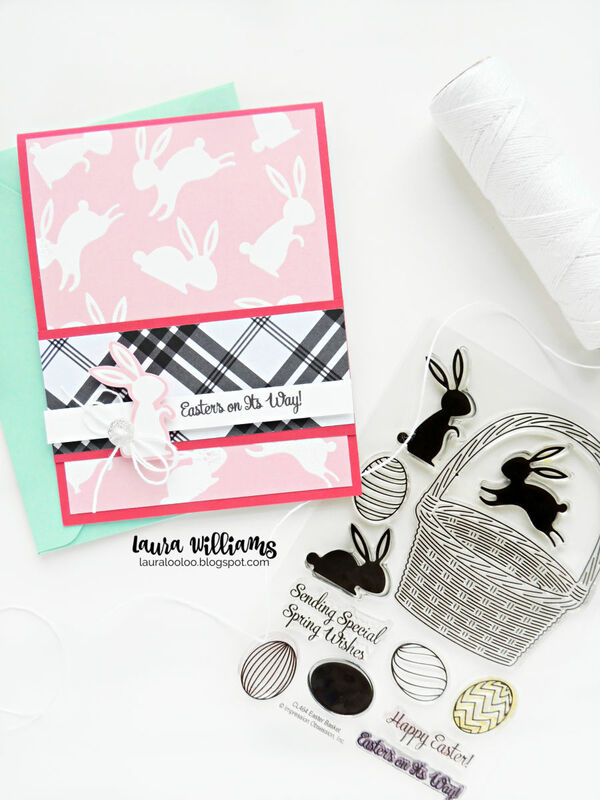 This is always my go-to die set for Easter cards and crafts, but this bunny die has a new friend in my collection and I can't wait to share it with you too! 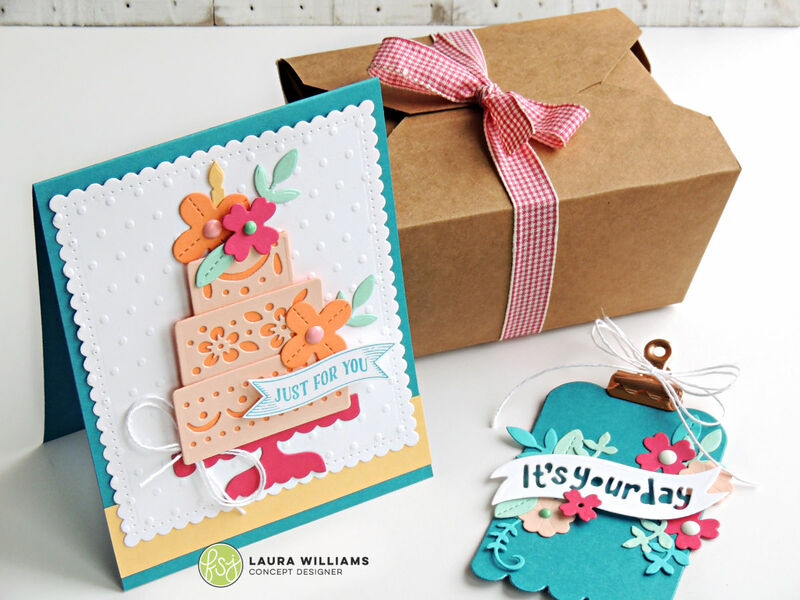 The Snack Box die is darling for filling with treats and goodies. For this project, I cut the closure flap off the top so it is just an opened-top handled bag. Then I trimmed some patterned paper to adhere to the front, before attaching my sweet bunny! 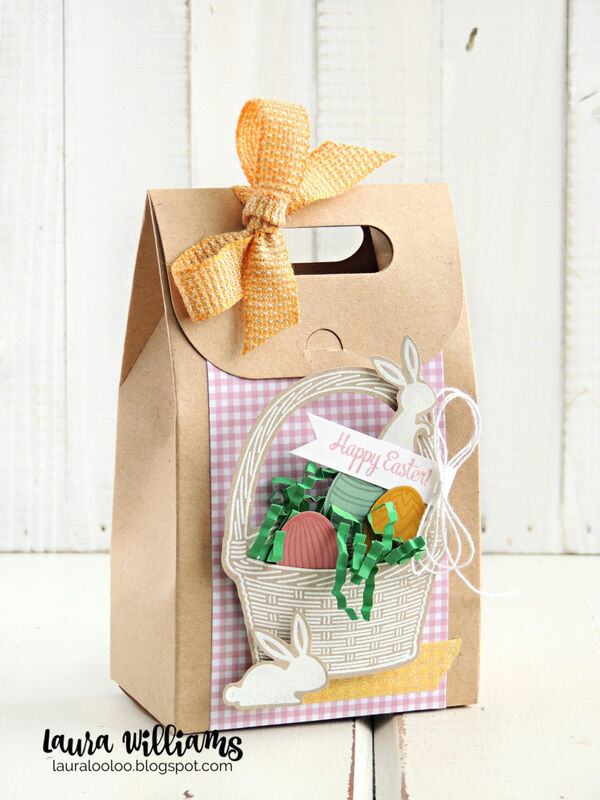 This treat box is the perfect size to fill with Easter grass and treats. They'd be darling as party of your Easter table decorations too! Add names to the tags, and you could create personalized treats for every person at the table! Let's talk about cake, shall we? (Yes, please!) 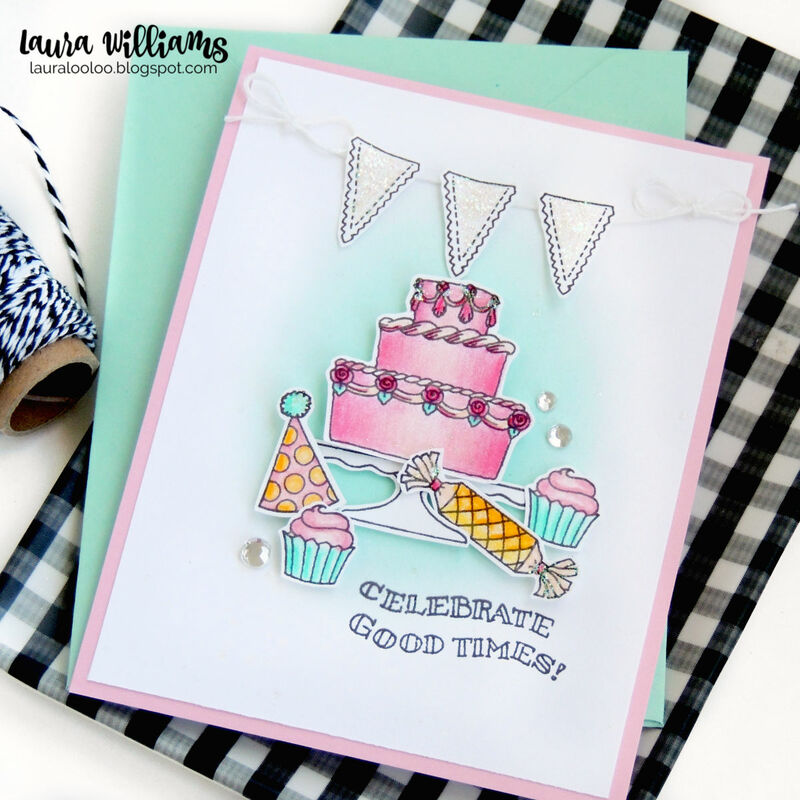 Cakes whether stamped or die-cut are so practical and fun for many types of handmade cards. Today's project is an elegant but colorful cake card that would be perfect for a birthday, anniversary or any type of celebration. And because I just couldn't stop, I made a sweet coordinating gift tag to match. Shall we take a closer look? 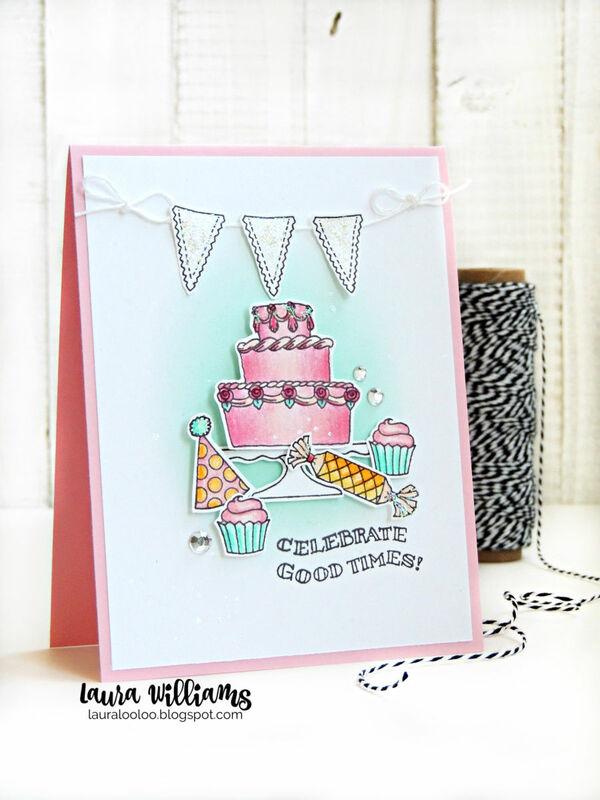 For today's card, I used Spellbinders' new Celebrate With Cake die set. It's part of the Happy Collection by Sharyn Sowell. 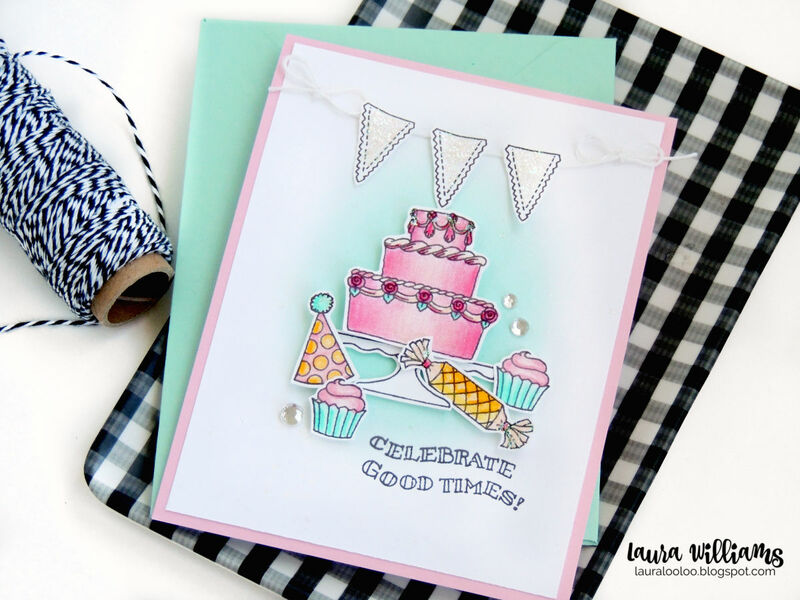 There are so many possibilities with these dies - each layer of the cake is separate, and the set comes with the outline of the cake layers, plus the patterned dies for each layer. And those sweet flowers and leaves with the stitched accents? SWOON. They are absolutely DARLING. 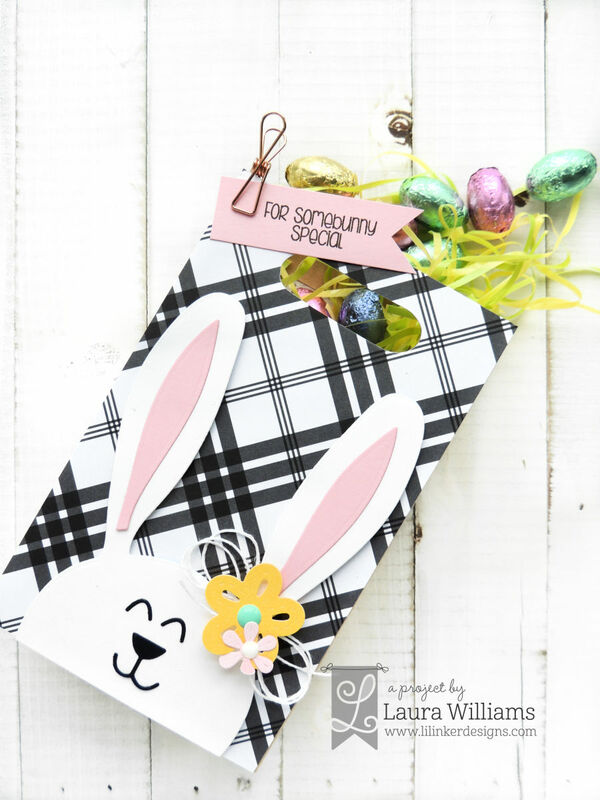 To make the coordinating tag, I started with the Special Day Tag Set from FSJ. 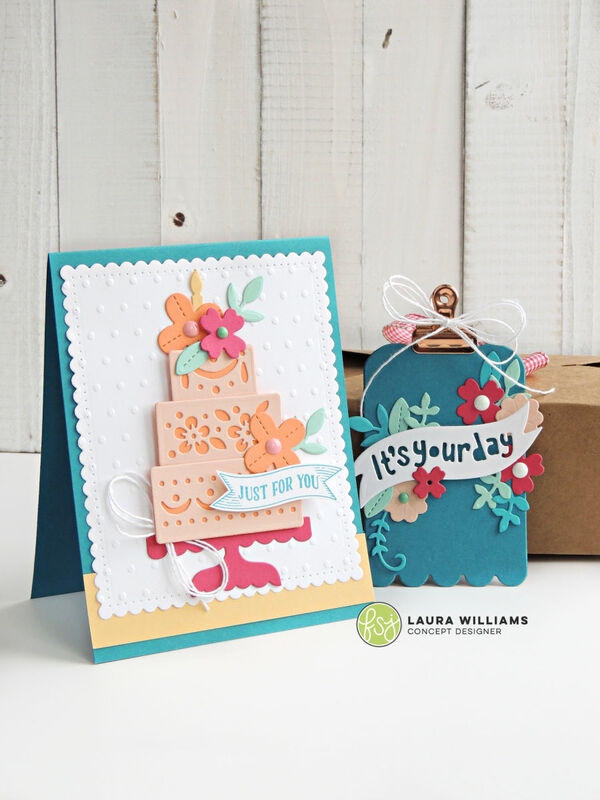 Then I embellished it with another die set from the Happy Collection, called It's Your Day. It was so much fun to die cut a bunch of little leaf and flower elements, and then mix and match and put them together on the tag. Isn't it a fun floral scene? This tag goes perfectly with the To Go Box from FSJ. This box is perfect for party favors, small gifts, sending home leftovers from a party, or treat boxes. The To Go Box comes in a pack of 10, and is all ready for a simple bow and tag, or fancy embellishing. 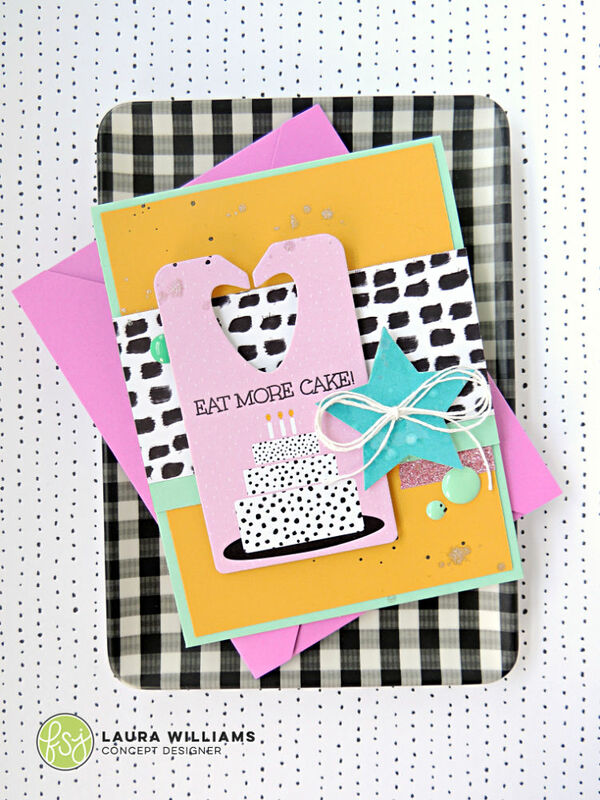 If you make a lot of birthday or anniversary cards, you will LOVE these die sets. It's so much fun to die cut a bunch of elements and then put them together on cards and crafts. Then, you'll always have celebration cards ready whenever you need them! I'm so grateful you've stopped by today. I've had so many new friends hanging out here lately, and I'm loving it! I'd love to get to know you - leave a comment and let me know what your favorite types of projects are, and if there's something you'd like to see more of here on my blog. Want to connect on social media? Follow me on Facebook, Instagram, and Pinterest where I'm sharing crafty goodness every day of the week! Don't want to miss a blog post? Click subscribe up in the sidebar! Project Supplies: Celebrate With Cake Die Set | It's Your Day Die Set | Special Day Tag Die Set | To Go Box | Fancy Edged Rectangle Nestabilities | Tiny Dot Embossing Folder | Remarkable You Stamp Set | cardstock: Blue Lagoon, Peaches and Cream, Orange Creamsicle, Cool Pool, and Sweet Berry cardstock. 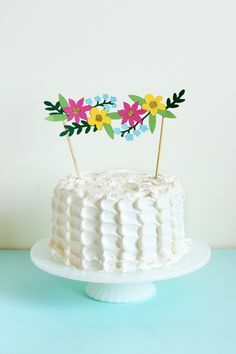 Looking for more birthday and celebration cards featuring CAKE? Check out this post with two different birthday ideas. Another colorful layer cake, colored with colored pencils and an inked background. It's Old Is New Day over on the Impression Obsession blog. It's easy (and fun) to keep adding the latest and greatest stamps and dies, but let's not forget about the older and well-loved products too. 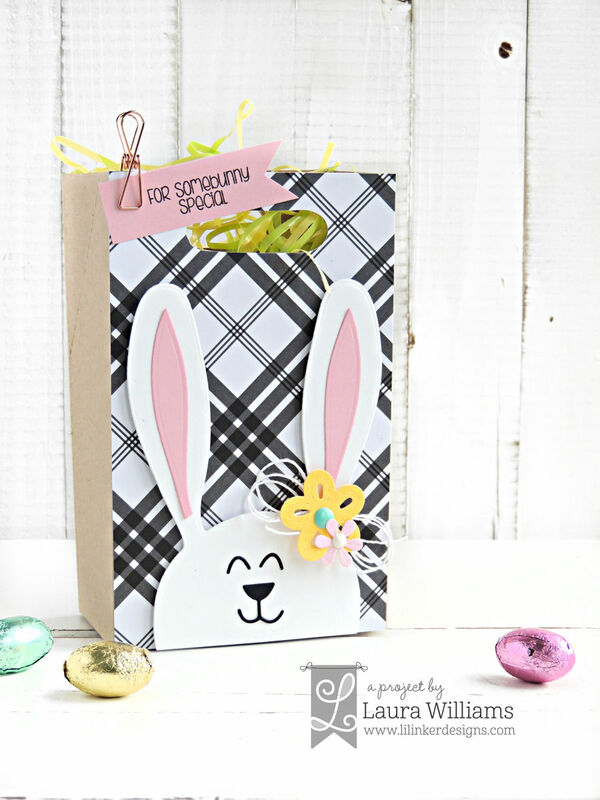 For today's card I pulled out the clear stamp set, Easter Basket. Did you know that at Impression Obsession stamps, some stamp sets can be purchased as clear stamp sets OR as rubber stamp sets? Prefer cling mounted rubber stamps? 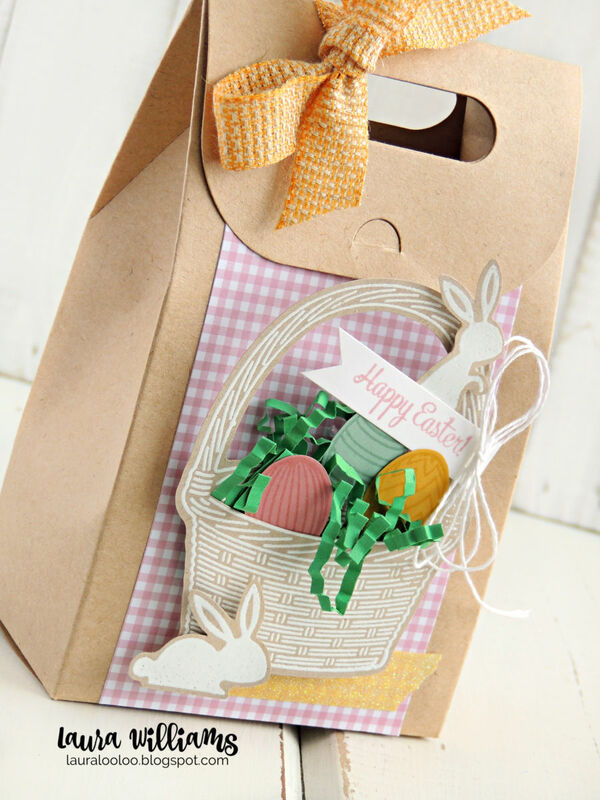 You can find the Easter Basket set as cling rubber too! So now let's talk about this project. I started off with an FSJ Snack Box. This box for treats or gifts comes flat and pops into shape easily, ready for decorating. And then I created a fun little Easter basket scene. 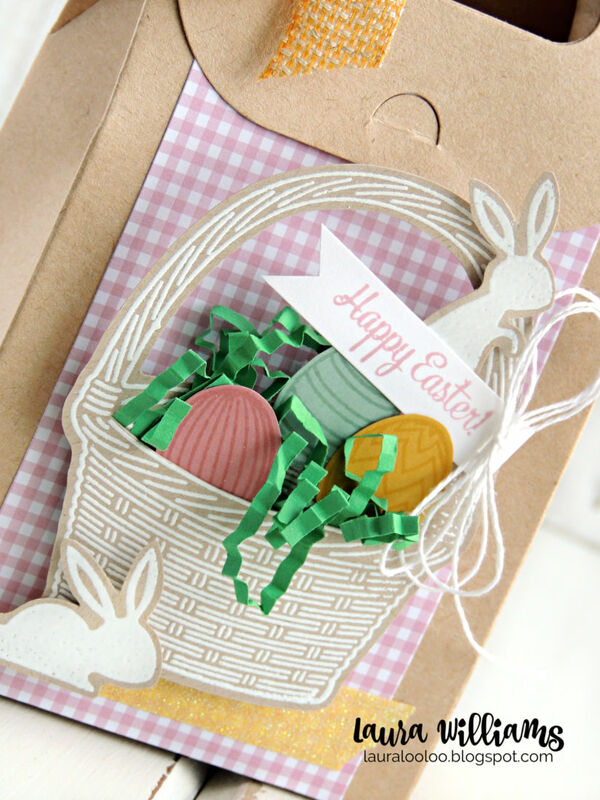 I embossed the bunnies and basket in white, on kraft cardstock. 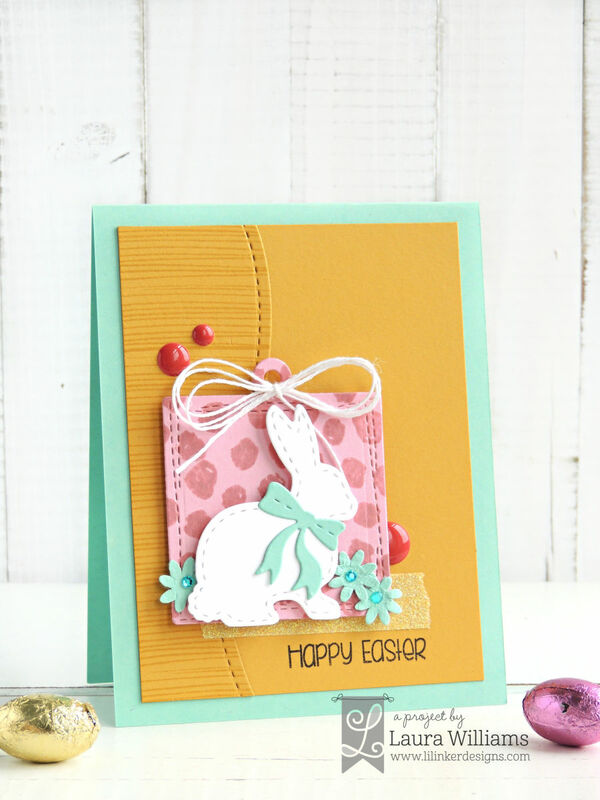 I LOVE white embossing on colored cardstock. It always makes the images POP. I think it really brings out the awesome detail and texture on the basket stamp. Next, I used a craft knife and cut a slit in the basket so I could tuck eggs and Easter grass in. I just added some tape to the back to keep the shredded grass in place and adhered stamped eggs with foam squares. A simple sentiment, twine bow, and ribbon finished off this fun treat box. I hope the Easter bunny comes and fills it with chocolate eggs, and leaves it on my pillow! What's your favorite Easter treat? Are you a Peeps person, or a Cadbury person, or something else altogether? Thanks so much for stopping by today - and now, head to the Impression Obsession blog to find a link list of the designers participating in Old Is New! I'm sure they have some fabulous oldies-but-goodies to share with you! Phew, what a whirlwind week! It's been a nonstop crafty party here on the blog this week. If you've missed it, be sure to scroll back because there are chances for a giveaway, and new product and fun projects - and I don't want you to miss a THING! 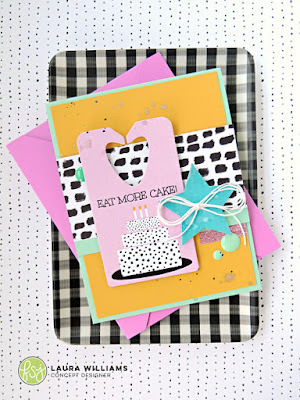 Today there's a new challenge up on the Impression Obsession blog (along with another chance to WIN!) 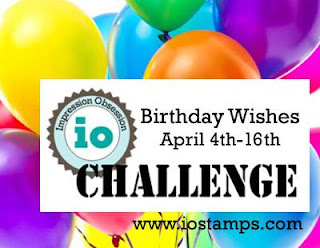 The theme is Birthday Wishes, so I got busy playing with another new-to-me stamp set from IO for today's project. I had so much fun coloring this card! I stamped out a bunch of images from this set, with NO direction or plan. I sat and colored and then fussy cut everything, and then just put together a little celebration scene. First, I used a sponge dauber and inked some Cool Pool ink onto the center of a panel of white cardstock. Then I assembled my scene together, using lots of foam squares for extra dimension. I attached the twine along the top, and then just popped the banner pieces on with foam squares. To finish it off, I added a sentiment, some glitter glue, and a few rhinestones. I'm so glad you came by today - and now I hope you'll head over to the Impression Obsession blog. You'll find links to the other designers' projects, as well as the challenge rules, and a place to link up YOUR challenge card. A lucky winner who participates will receive a $25 gift certificate to the IO store! 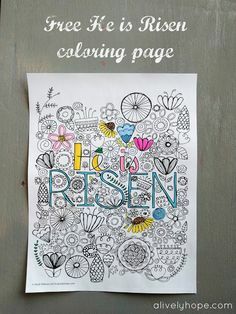 Beautiful free "He is Risen" Easter coloring page from A Lively Hope.